In February of 2008, Suzanne was appointed by Governor Arnold Schwarzenegger to the Santa Barbara Fair and Exposition Board of Directors which oversees the 19th Agricultural Association. 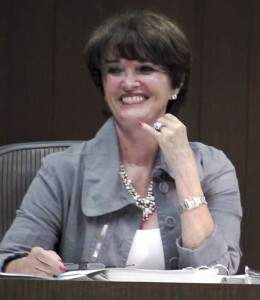 Suzanne was appointed in 2007 by 1st District County Supervisor, Salud Carbajal, to the “Summerland Community Planning Advisory Committee”, which holds public hearings every month regarding the updating of the Summerland Community Plan and makes recommendations to the Board of Supervisors on the development of design guidelines for the community plan. Appointed in 2006 as a member of the “Front Country Trails Multi-Jurisdictional Task Force” representing the County of Santa Barbara. Appointed members of this Task Force are National Forest Service, County of Santa Barbara and the City of Santa Barbara. The Task Force has been conducting monthly public hearings for over a year long with monthly televised public hearings dealing with Front Country Trail issues pertaining to multiple use. Since 1992, Suzanne has served as a commissioner of the Santa Barbara County Parks Commission and is also a past president of the Montecito Trail Foundation. These opportunities have enriched her comprehensive knowledge of real estate and land use issues.